PTSuks Uncanny World: Portal 2 TV Spot and Pre-order! Portal 2 TV Spot and Pre-order! How awesome is this?! 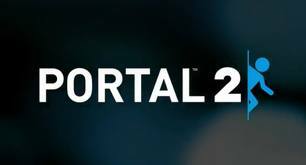 A Portal 2 TV Spot AND info on how to pre-order! WOOT! If this game is going to rock half as good as the original I'll be a happy camper! Of course it should be twice as good am I right?! Might this be the "Empire Strikes Back" of Video Games?! Hmmmmm Could BE!